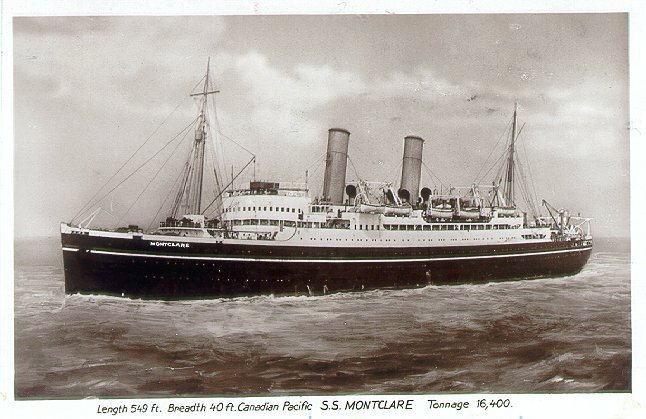 Laid down as Metapedia, this ship was renamed Montclare before being launched in December 1921 at John Brown & Co. Her maiden voyage, on 18 August 1922, was on Canadian Pacific's Liverpool-Québec-Montréal service. Like her sisters, Montcalm and Montrose II, Montclare was re-engined at Harland & Wolff, with single reduction geared turbines; Montclare's were installed in 1929. 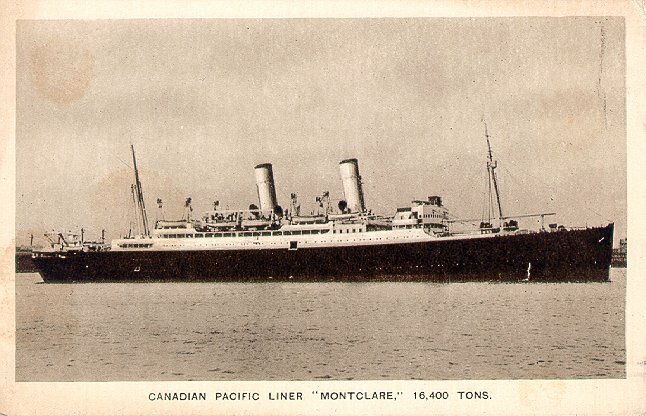 Also like Montrose, Montclare later moved to the Antwerp and Hamburg services, both in 1929. She made her last regular Hamburg-Canada sailing in November 1933 and spent the next seven years cruising and taking sporadic transatlantic sailings from Liverpool, Southampton, Antwerp and Hamburg. 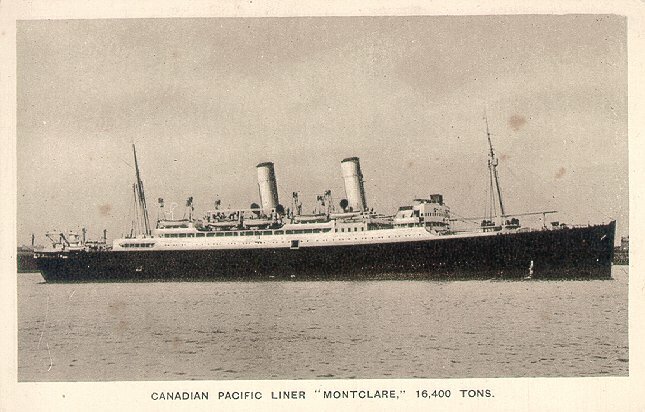 She made her last Canadian Pacific voyage on 21 July 1939, a Liverpool-Montréal roundtrip. 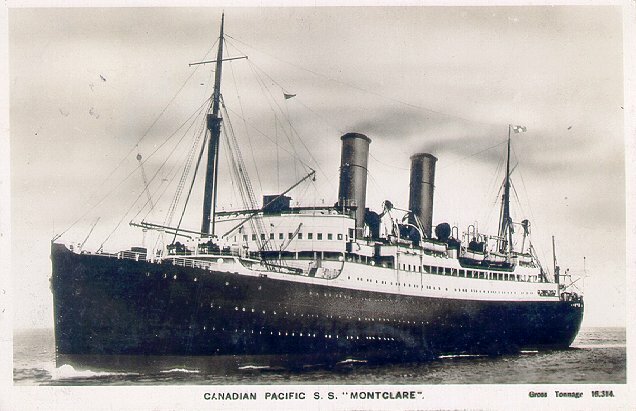 Montclare was taken over as an armed merchant cruiser in August 1939. In 1942, she was purchased by the Admiralty and converted into a submarine depot ship. Decommissioned in 1954, she was laid up at Gareloch and Portsmouth until she was scrapped in 1958.